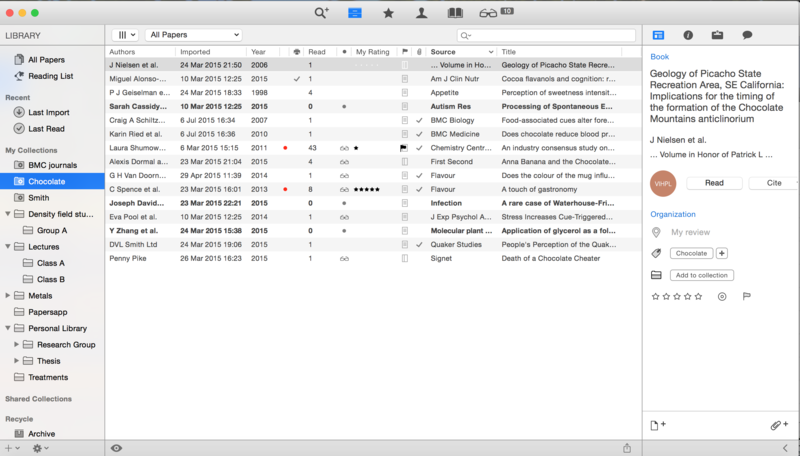 In Papers 3 it is possible to create a Smart Collection from a full text search. 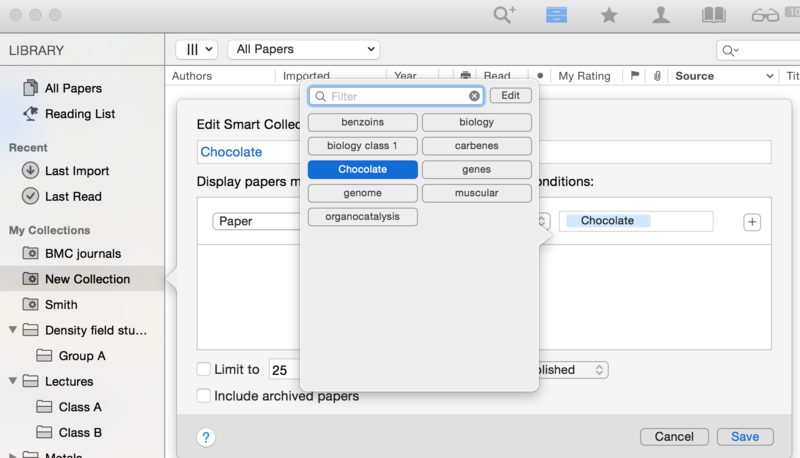 For example you can have a Smart Collection named 'Chocolate' that contains every article in your Papers library that contains the word chocolate. To do this, first carry out your full text search in All Papers. Once all the documents appear that contain the desired word, select all documents and apply a Keyword to all these documents. Now go the '+' icon on the bottom left of the screen and to create a new Smart Collection. To set the criteria for this Smart Collection select 'Paper', 'Keyword', 'Includes' and enter the keyword that you applied to your full text search. 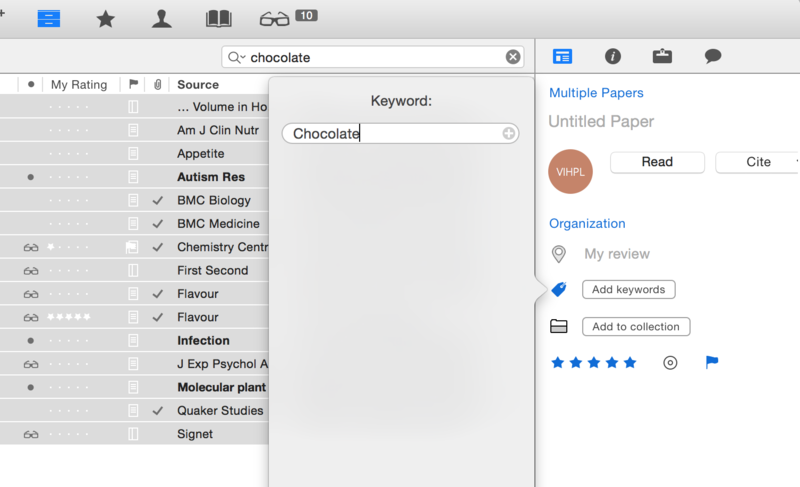 Once you apply the same keyword to future papers, they will automatically be viewed in your Smart Collection.